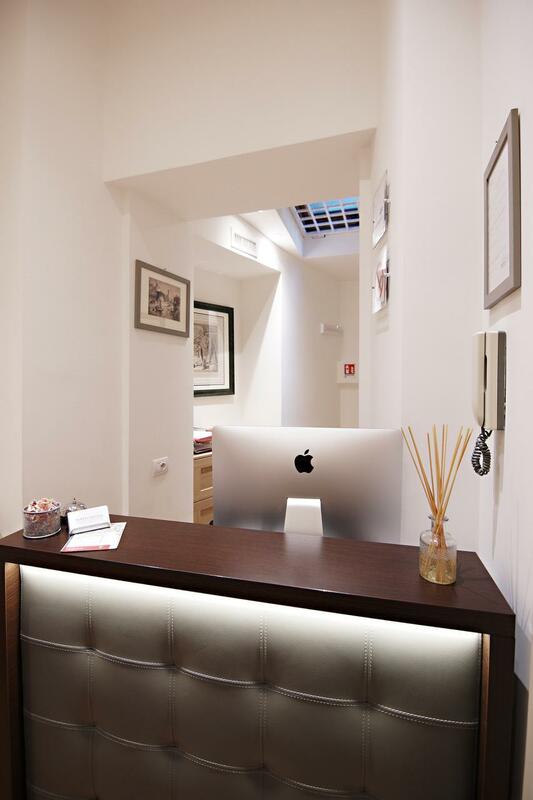 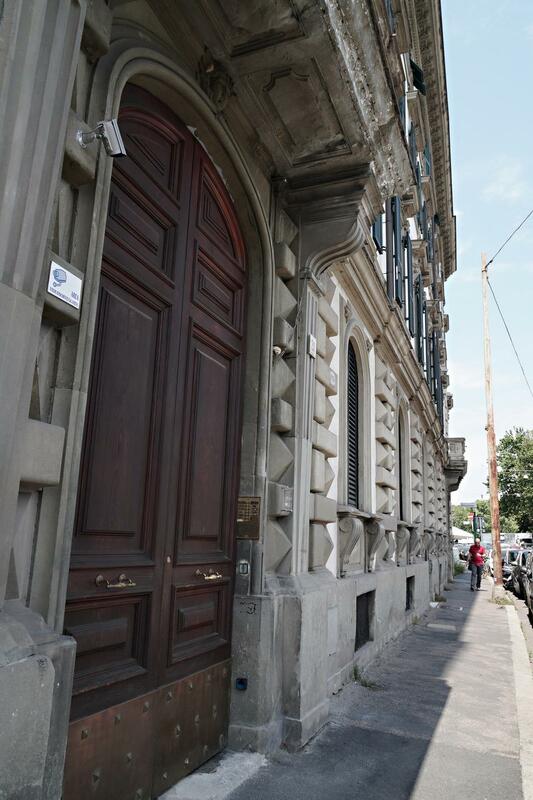 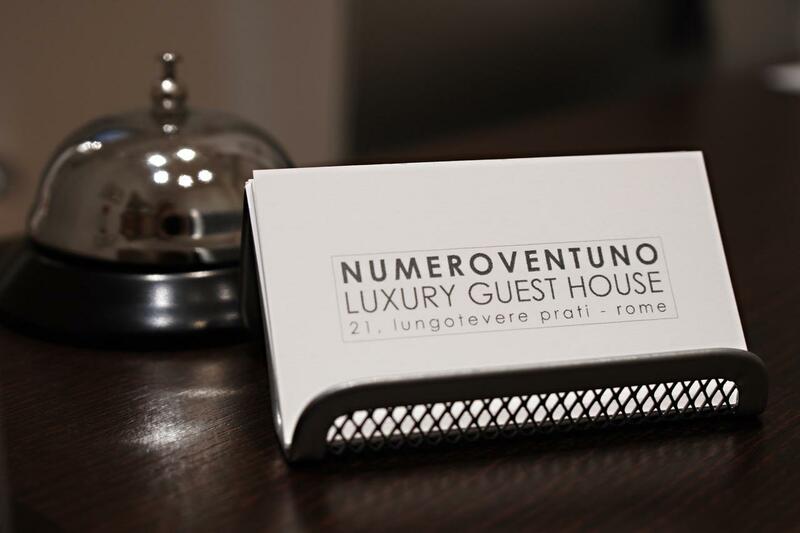 Numero21 Luxury Guest House is located at the first floor in a historic building , newly renovated (March 2017) and accessible by stairs or elevator. 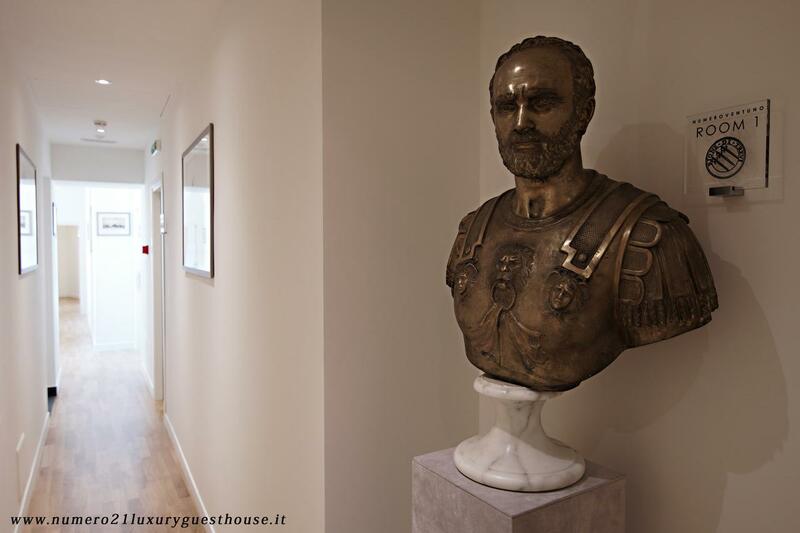 Composed of six bright, soundproofed rooms with city view and overlooking the Tiber River all with its own private en-suite bathroom and every comfort. 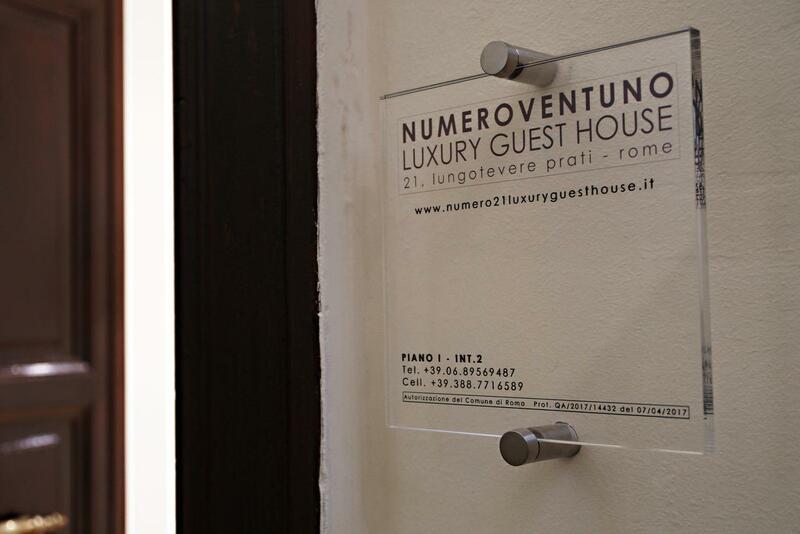 Numero21 Luxury Guest House is elegantly furnished with luxury designer furniture and parquet wooden flooring, situated in the elegant neighbourhood of Prati - Vatican Museums a strategic point of the city with wide choice for travellers interested in museums, art but also for shopping given the proximity to Via Cola di Rienzo, Via dei Condotti and Via del Corso. 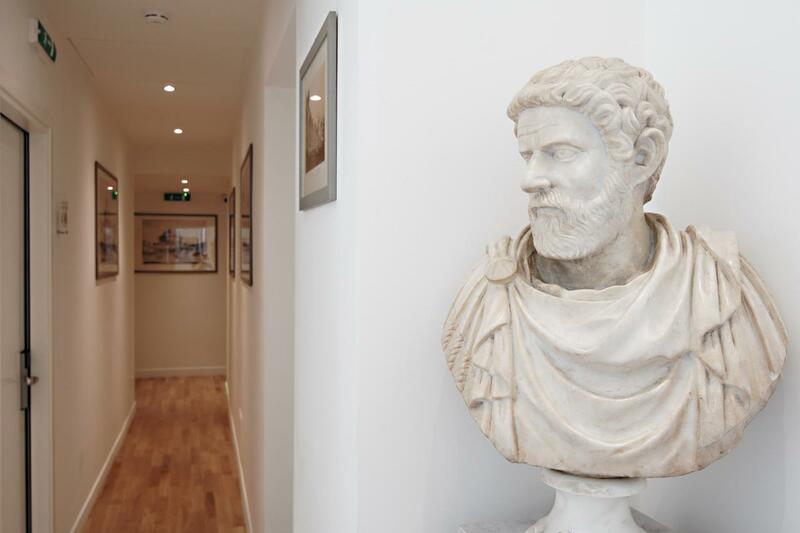 Each bedroom takes its name from the historic districts of Rome, all bedrooms are soundproofed with city view overlooking the Tiber River. 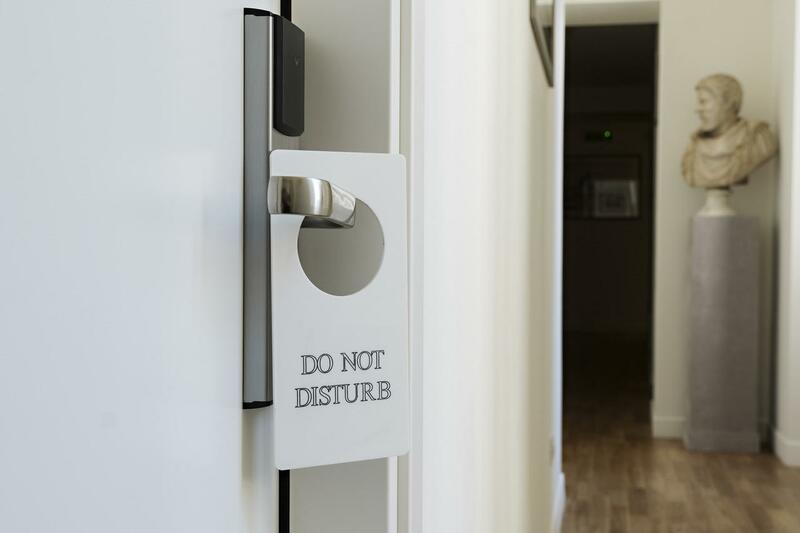 All bedrooms are equipped with SMART 40-inch flat-screen TV, heating/air conditioning, minibar fridge, Nespresso coffee machine with pods supplied for the stay, kettle, safe deposit box, wardrobe, ironing board and iron. 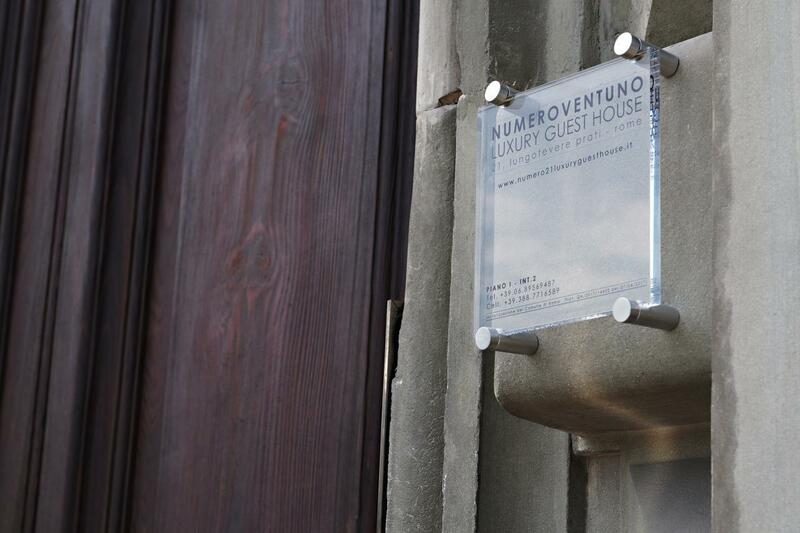 Each bedroom has its en-suite bathroom with large shower, bidet and hairdryer. 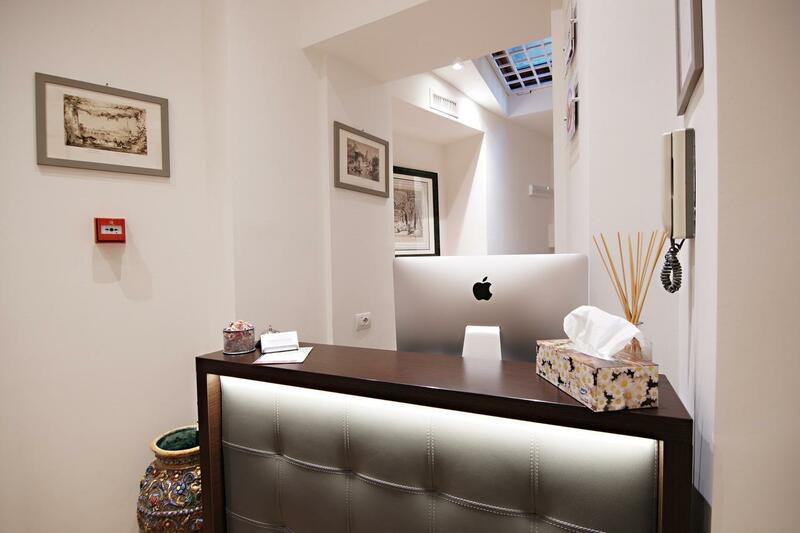 High-speed free Wi-fi connection is available throughout the guesthouse. 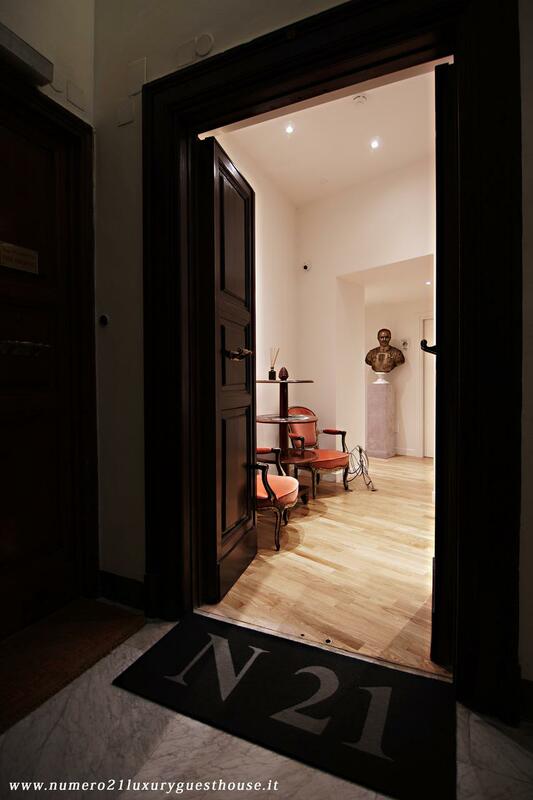 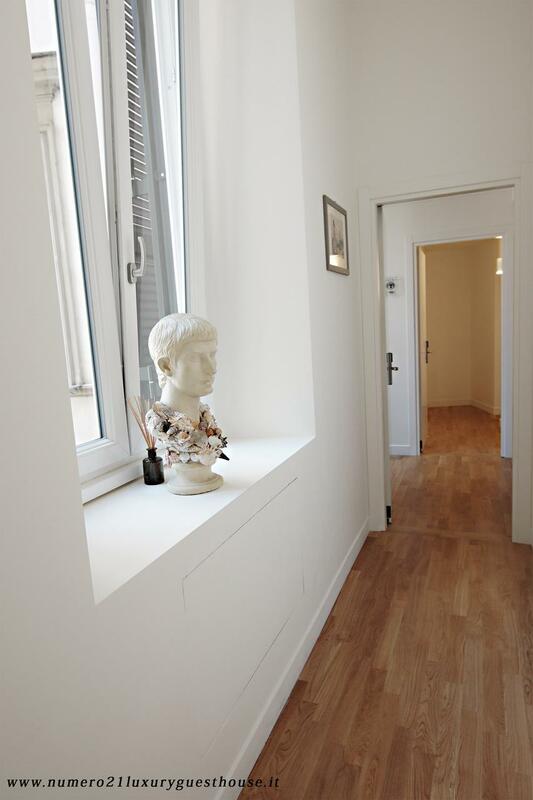 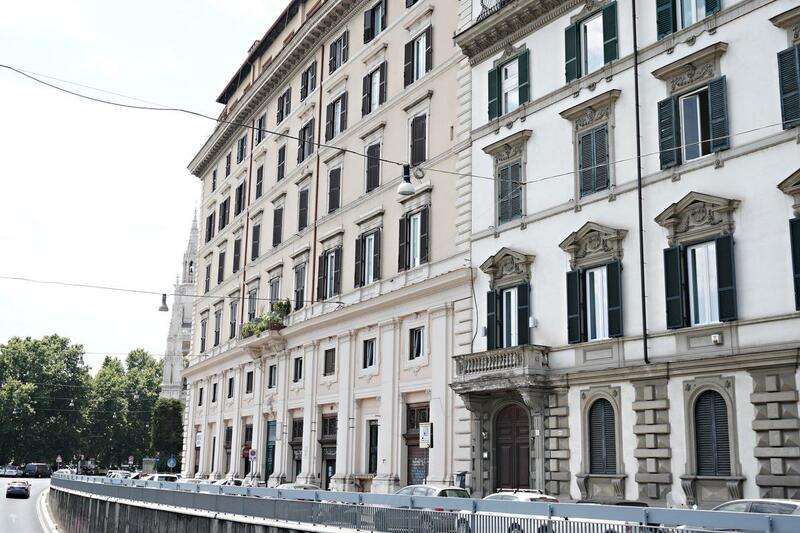 Numero21 is just 700 meters walk from Castel Sant'Angelo, 300 meters walk from Ara Pacis, 900 meters walk from the Spanish Steps and 1.2 km from San Pietro and 30 km from Rome Fiumicino International Airport. 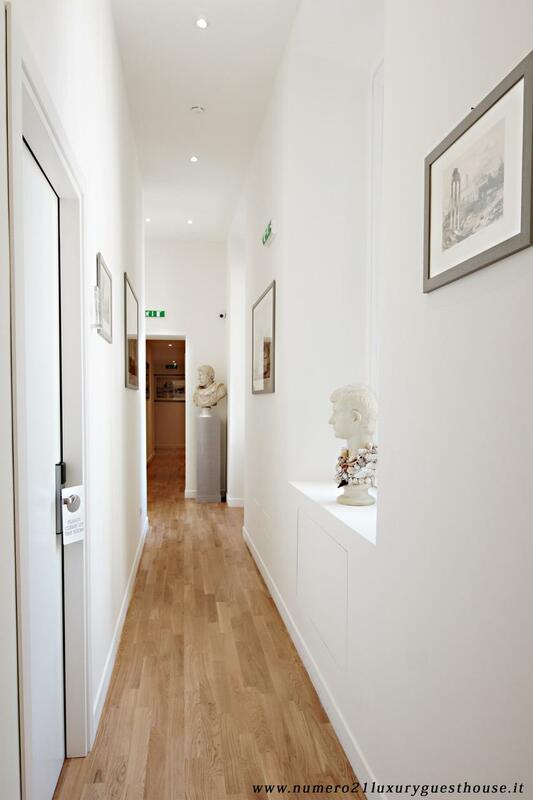 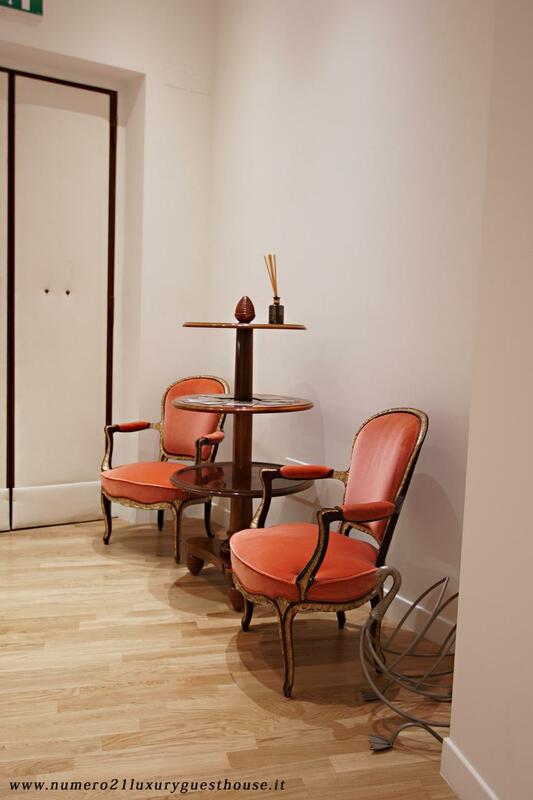 We offer our customers a free luggage storage service and the possibility to book tickets for the most important museums.